On their website, uHoo retails for US$299 (S$406). Shipping to Singapore will cost you a flat rate of US$30 (S$41) and you need to pay additional 7% Goods and Services Tax (GST) as the amount (including shipping) is above S$400. All in all, you will probably be paying about S$480 for the uHoo. 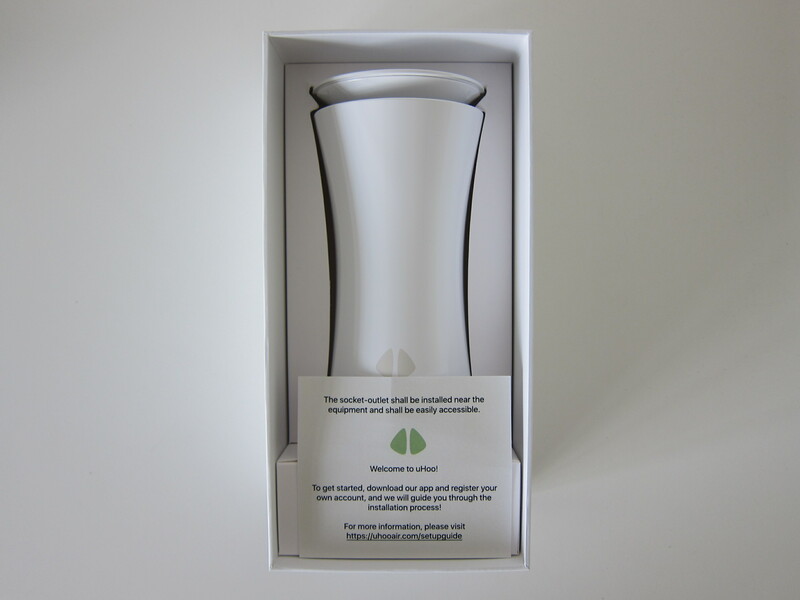 Knowing the quality of the air you breathe helps you make better decisions on the products you use and your habits so you can live a healthier life. Conditions like asthma, hay fever, and allergies are triggered by allergens and toxins that are present in the air that you breathe. 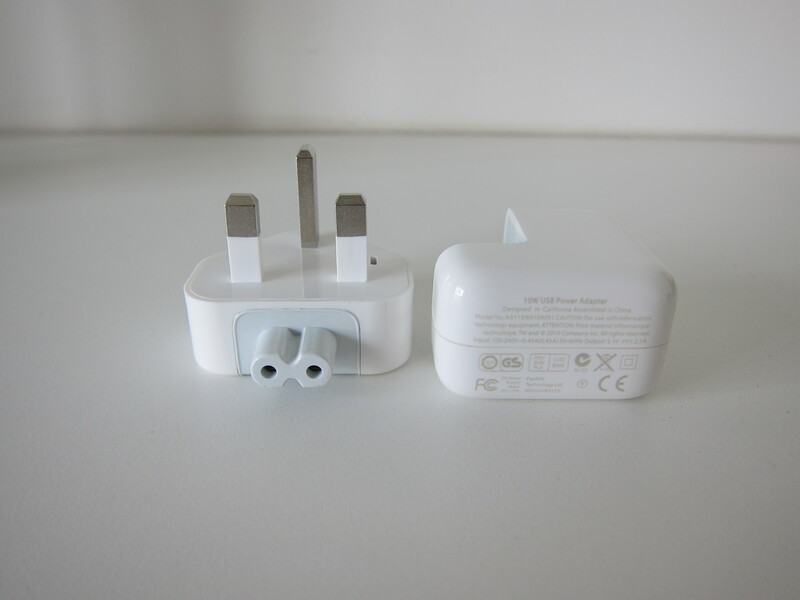 The power adapter looks like an exact clone of the Apple 12W USB Power Adapter. 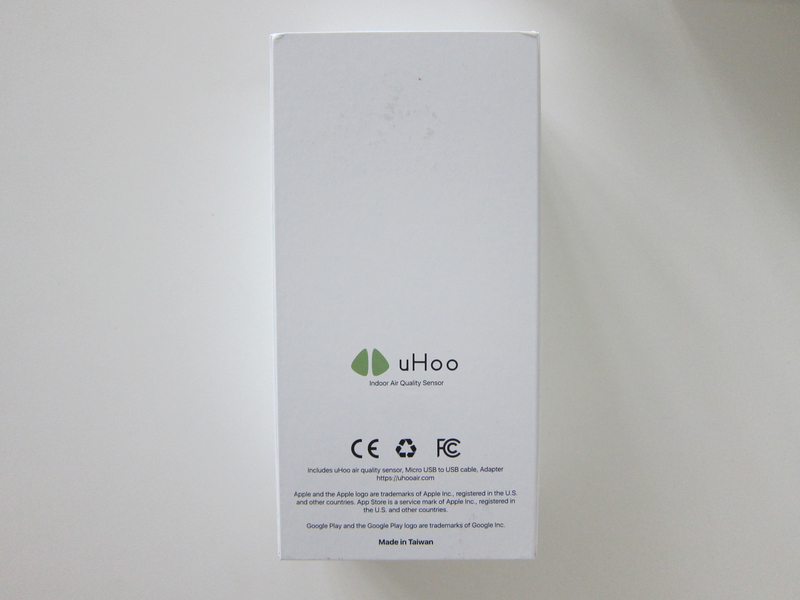 uHoo is made in Taiwan while its parts are sourced mainly from Europe. 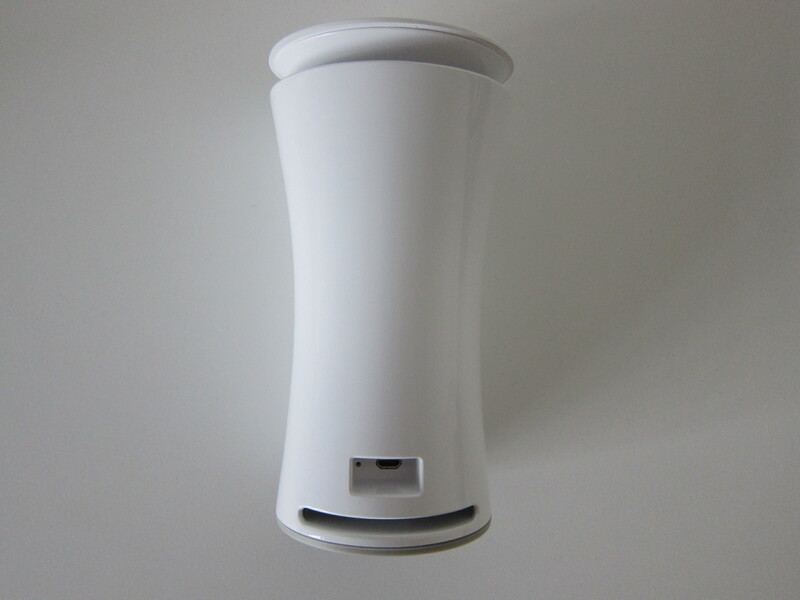 Inside each uHoo, there are eight sensors that can detect temperature, relative humidity, PM2.5, carbon dioxide, carbon monoxide, volatile organic compounds, ozone and air pressure. 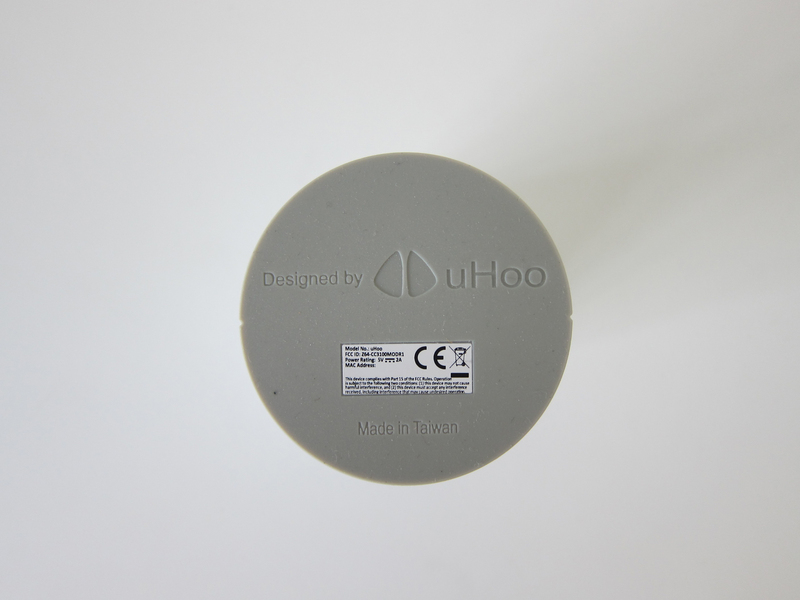 There are only two interfaces on the uHoo which is located at the back. 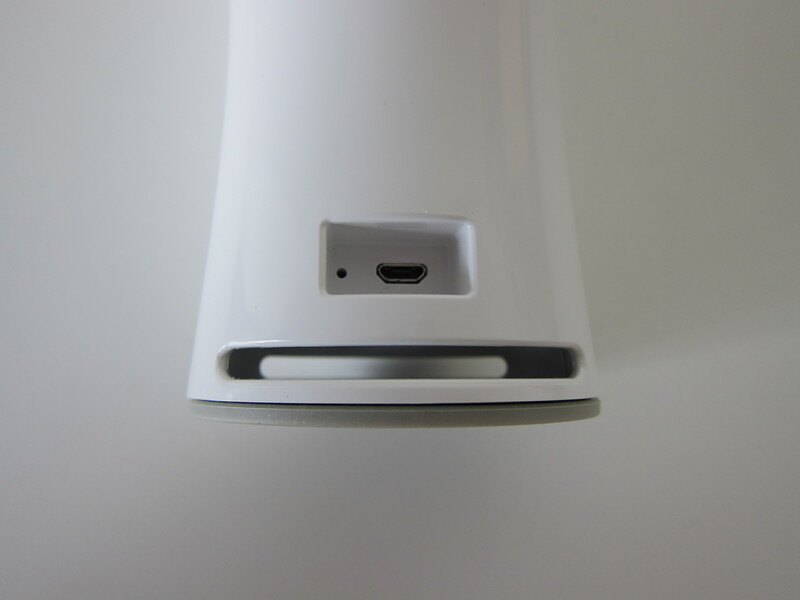 The reset button and the micro USB port for power. 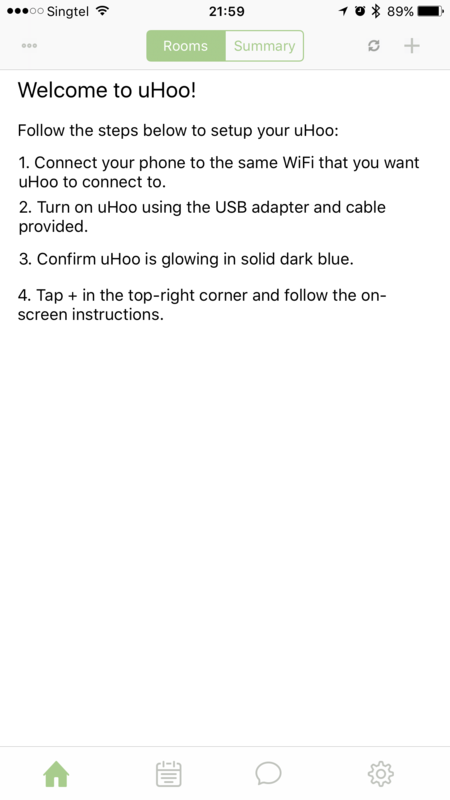 To start with the setup, you need to download the uHoo app on App Store or Google Play. 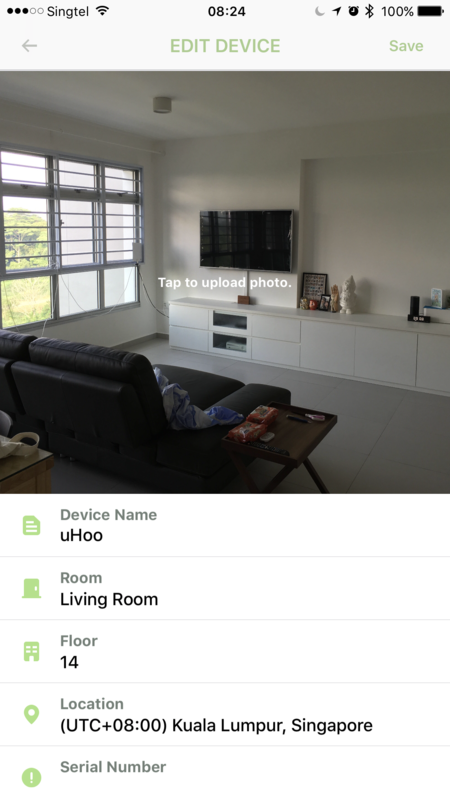 The setup process is similar to most smart home devices. 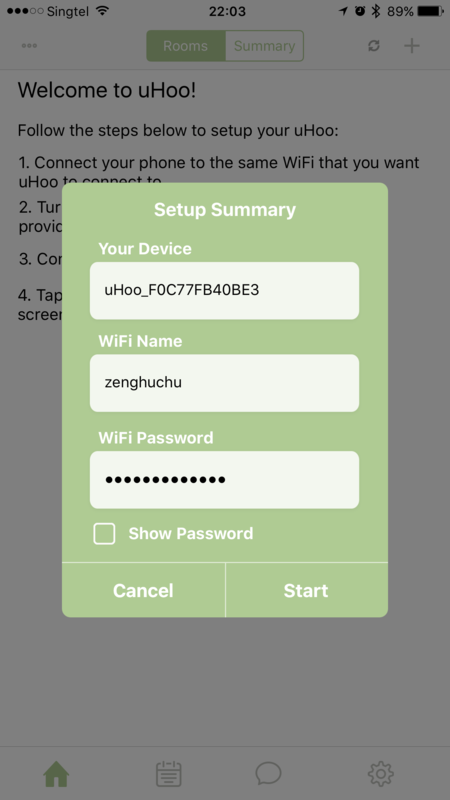 uHoo will create a wireless network with the name “uHoo_xxx”, then you connect your mobile phone to the wireless network and use the uHoo app to continue the setup process. Every uHoo can only be paired to one account. What this means is the first account that setup the device will be the “owner” of the device. 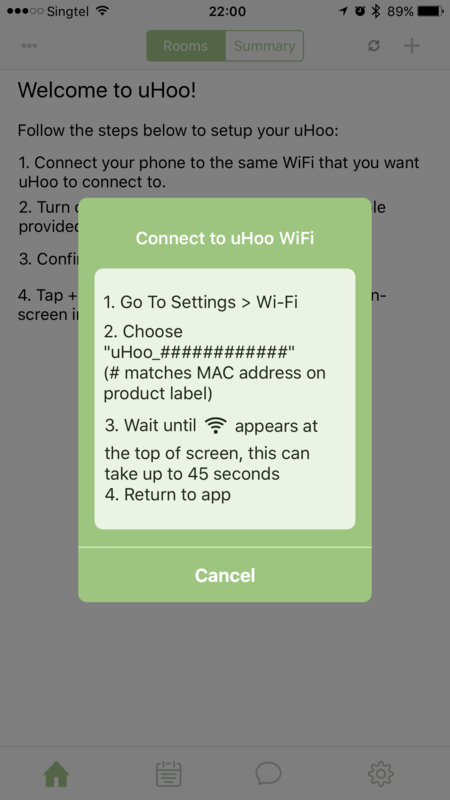 If another person resets the uHoo and sets it up under his account, he will not have access to the device as it is already tied to the previous owner. 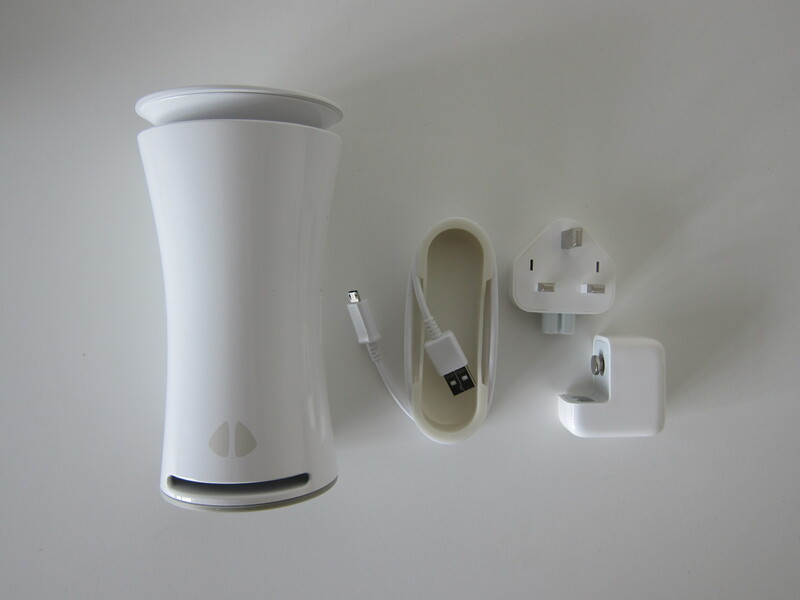 As mentioned earlier, uHoo is targetted towards corporate customers, and the number one worry for them is devices being stolen. With this feature, taking it becomes useless because they won’t be able to use either. 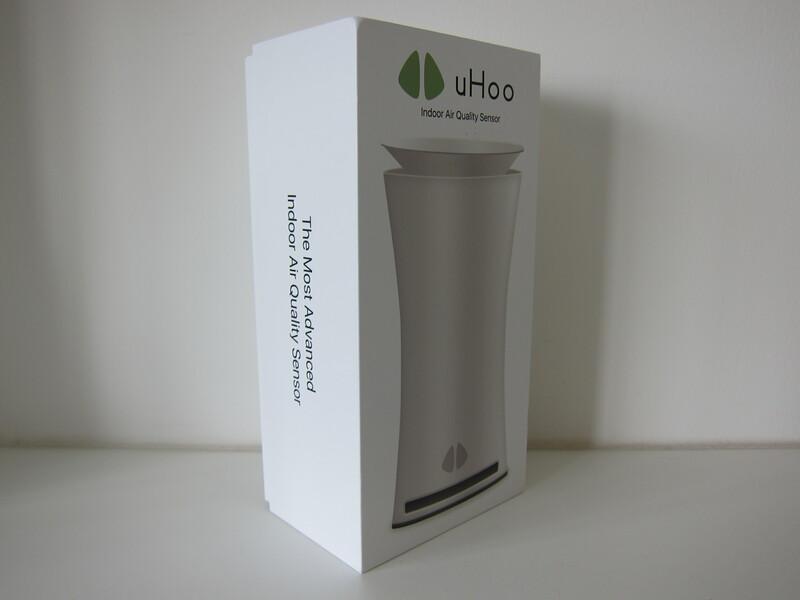 If you are coming in as a consumer and wants to resell your uHoo to another person, you will have to email uHoo to disassociate the uHoo from your account. 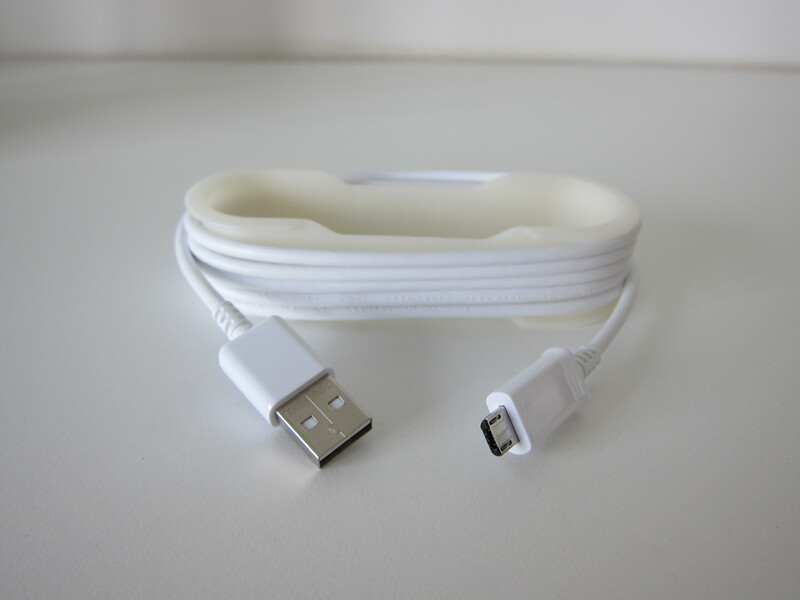 This is so that the other person can set it up and link the uHoo to his account. 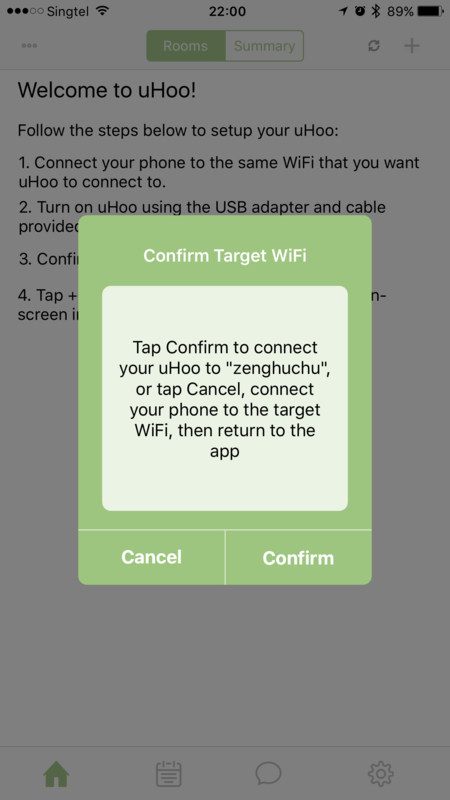 According to uHoo, the option to do it through the app is on the roadmap but no solid plans yet. 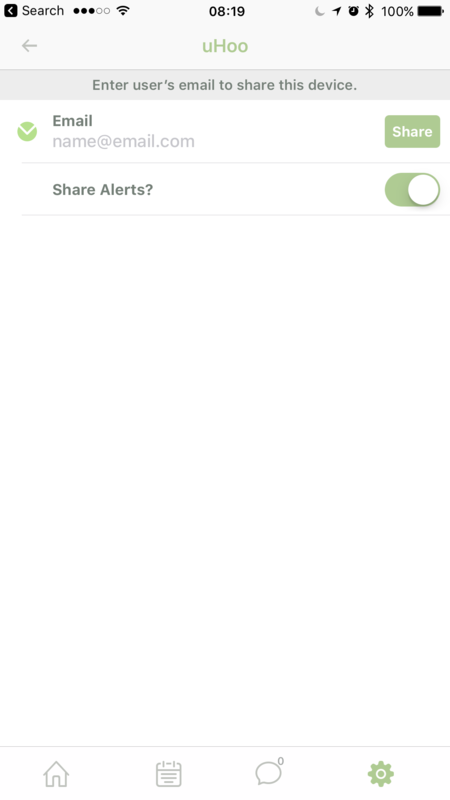 There is a share feature in the uHoo app, and you can use that to give access to your family members. The default thresholds are not applicable in Singapore because Singapore is always hot and humid. So I have changed the temperature threshold to be between 24°C and 32°C and the relative humidity threshold to be between 50% and 95%. 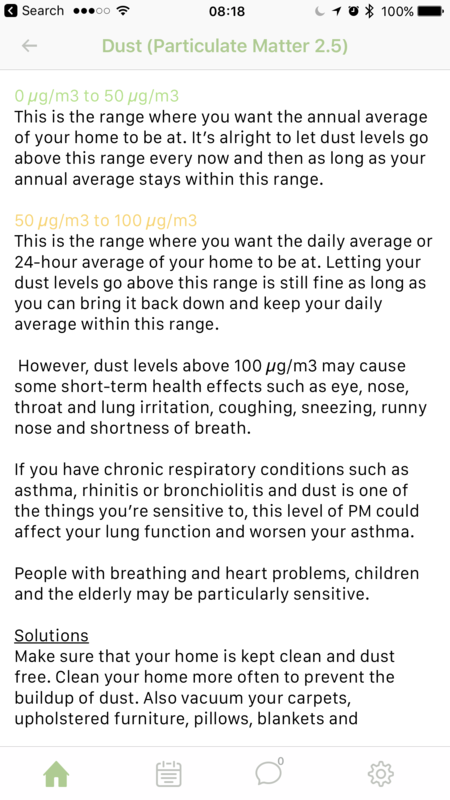 The Particle Pollution (PM) 2.5 default threshold remains the same at 50µg/m3 to 100µg/m3 as Singapore averages about 51µg/m3. 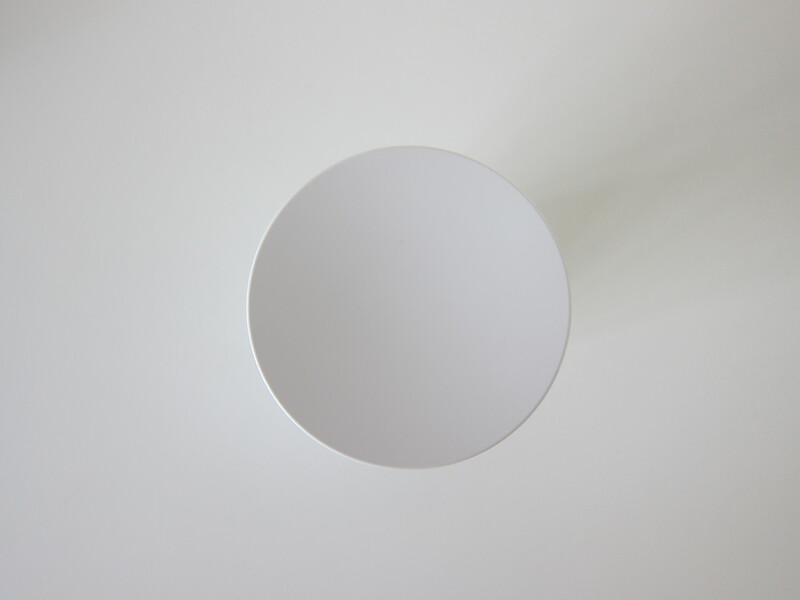 If the sensor reading goes above or below the threshold, a push notification will be sent to your phone. This gets very “noisy” sometimes, and I am glad they are going to solve it in the next version with a Do Not Disturb mode scheduling. 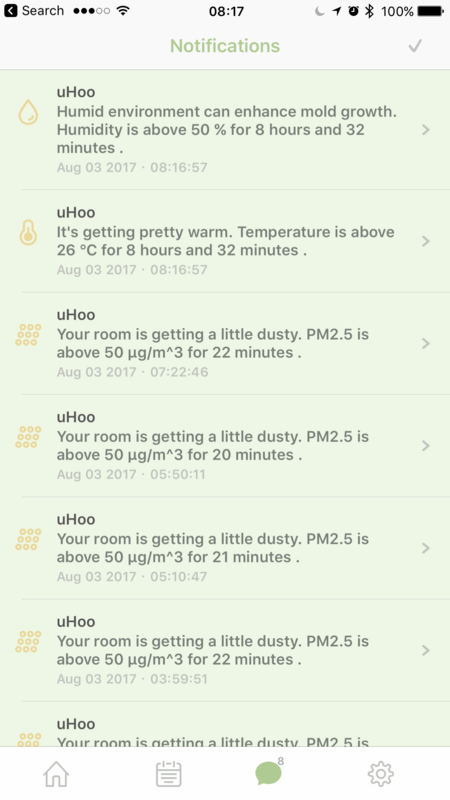 Right now the thresholds are set based on the owner of the uHoo, and everyone who has access to your uHoo will get the same notifications. 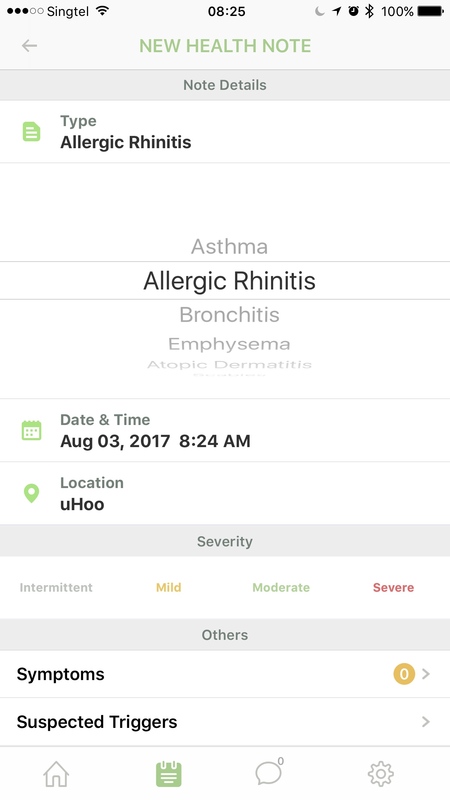 Sometimes different people have different allergy triggers, and in the future, uHoo is going to allow everyone that has access to your uHoo to set their thresholds so that they each will get notifications based on their personalized thresholds. 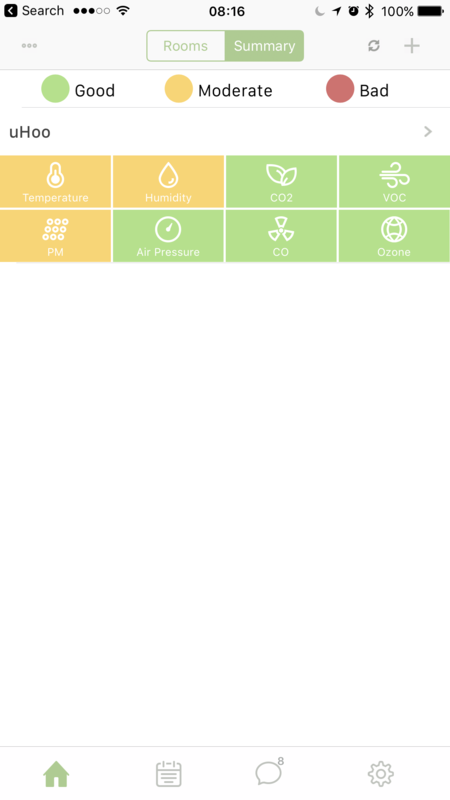 In case you are wondering the health note feature in the app is just a placeholder, the backend is not yet ready. The app is very buggy, I encountered unresponsiveness, hanging at the loading screen (multiple times), stale data, unread notifications, etc. Most of it will be fixed in the next version. 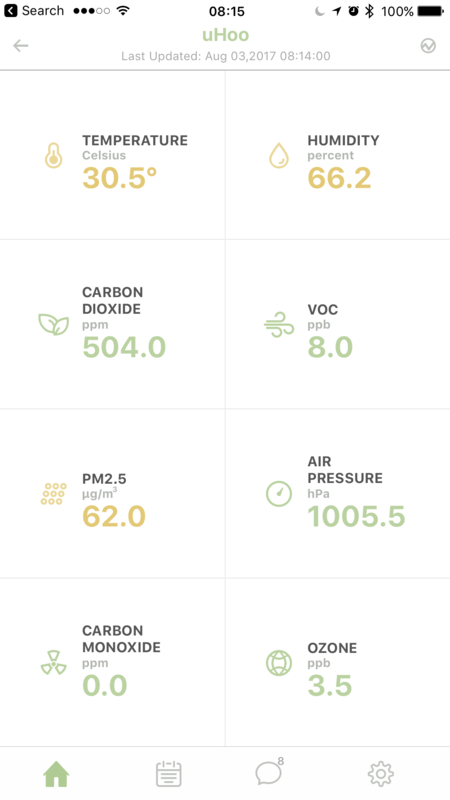 When I moved uHoo to my office, I notice the VOC is extremely high (over 1,000ppb) which is essentially fatal. I read that the VOC needs more than 30 minutes to calibrate, but in fact, it takes a day. After a day, it dropped to 4ppb. 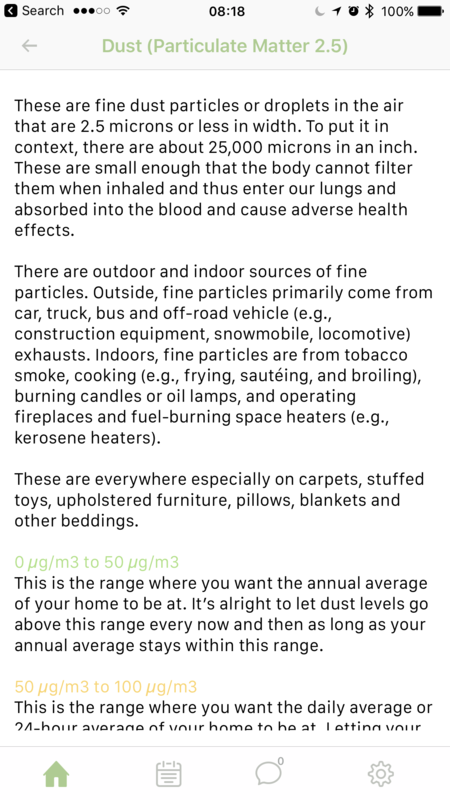 It is interesting to know how the air quality is like in your own home. But as a consumer, I don’t think the price of uHoo is justified. Having said that, uHoo is not targeting consumers right now, so I guess that is alright. 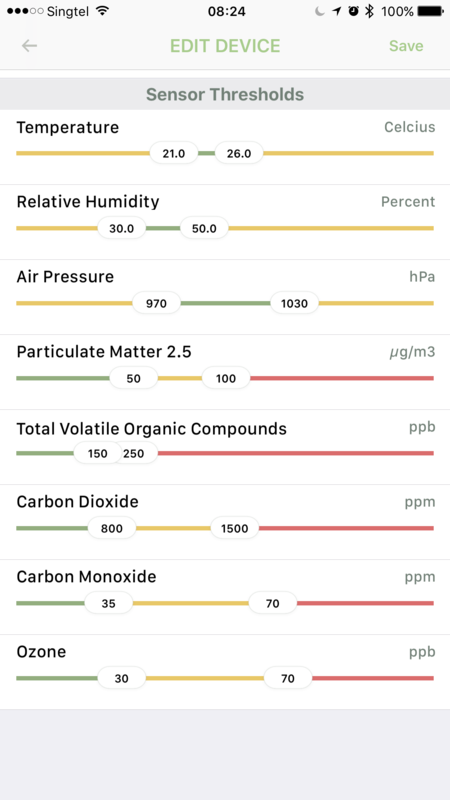 After knowing your home air quality, you will probably want to find out what’s next? uHoo does provide recommendations. 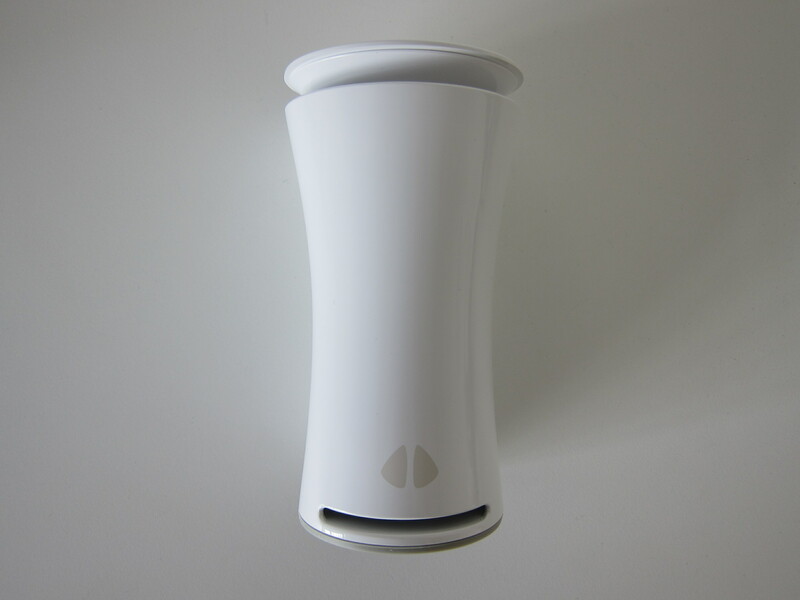 Like for my case, my PM2.5 is above average, so uHoo suggested me clean my house (which I normally do weekly) and buy an air purifier. Once I did that, that is probably the end of the user engagement. 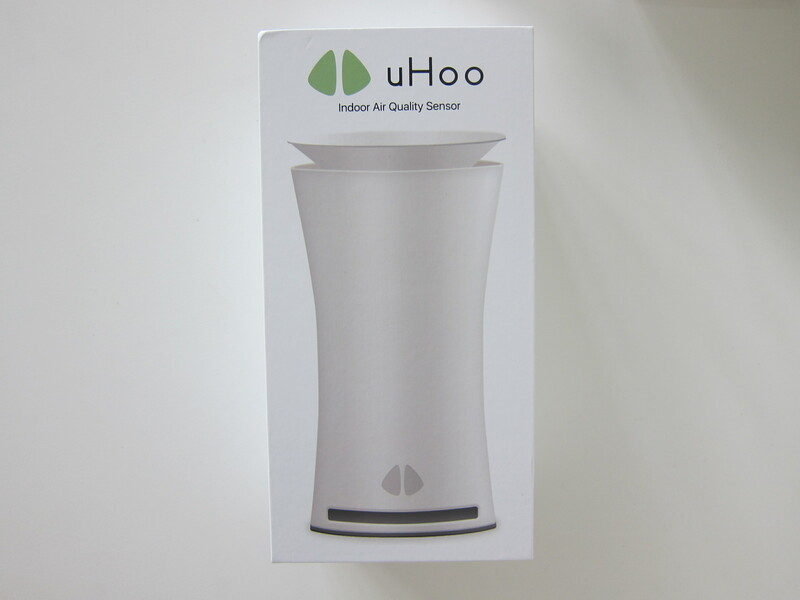 I guess uHoo will probably be more applicable to consumers who have asthma or have allergies to certain toxins in the air and hence you constantly need to monitor the air quality in your house. 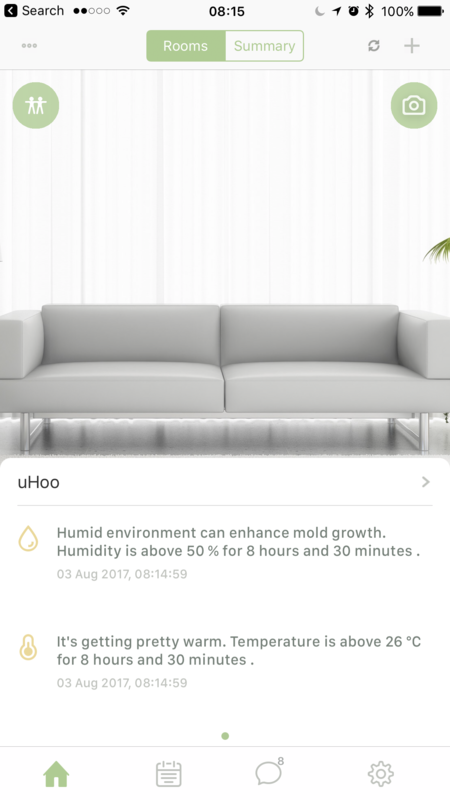 In the future, they are going to have an API so that you can programmatically integrate uHoo with your smart home. 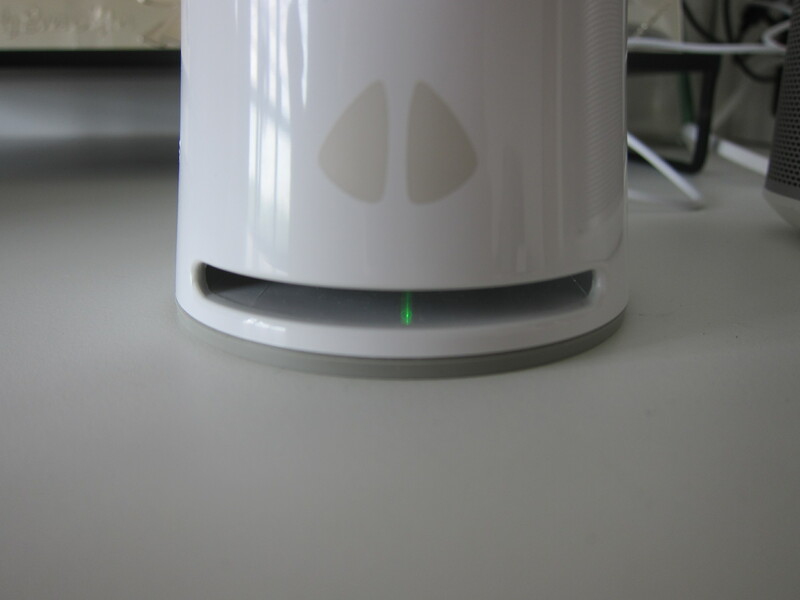 For example, you can ping uHoo every minute and if the PM2.5 is above a certain level, you can switch on your air purifier. 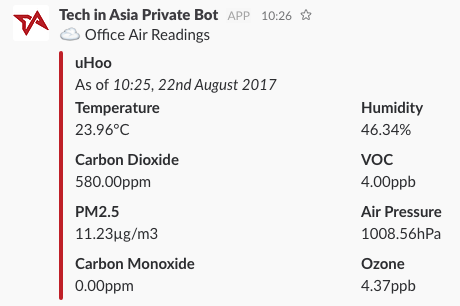 I have moved my uHoo to the office so that my colleagues can make sense of the air quality in the office especially the temperature and humidity. I also integrated the API with our Slack Bot. 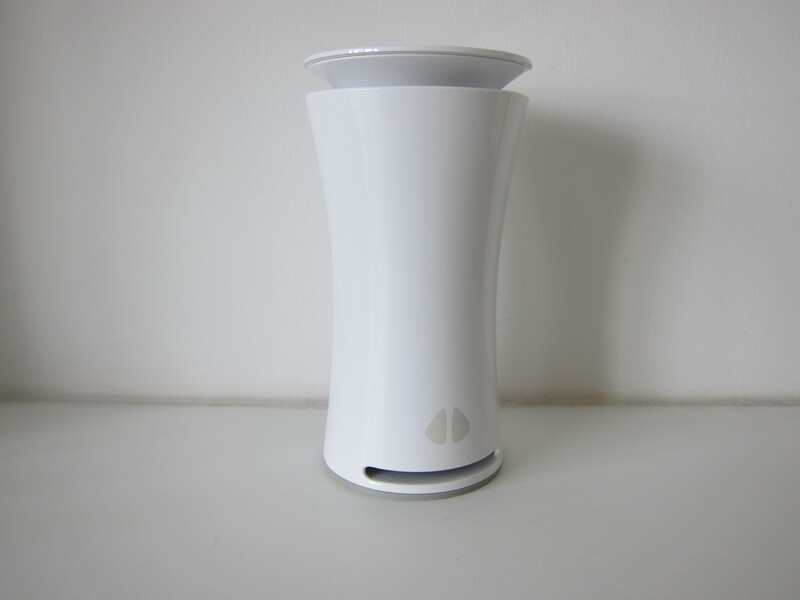 I am hoping uHoo next consumer product will be a smart air purifier rather than just a standalone sensor reading device. This page is generated on 18th April 2019, 10:45:17 (UTC) in 0.313s with 21 queries using 2.0 MiB of memory.